With technology the way it is today, it seems like there’s always a new gadget to bring home or into the office. And the more gadgets and appliances you have, the more electrical switches and outlets you’ll need. Fortunately, we can help in that regard. At Residential Electric Heating, Cooling & Insulation, we provide a wide range of commercial and residential electrical services, and we can outfit your home or business with the additional outlets and switches you need. At Residential Electric Heating, Cooling & Insulation, we value our customers. No matter the extent of your electrical needs, we’re at your service. We pride ourselves on our dedicated, professional approach to every job we undertake; and once our work is done, we pledge to leave your property clean and tidy, just like you deserve. 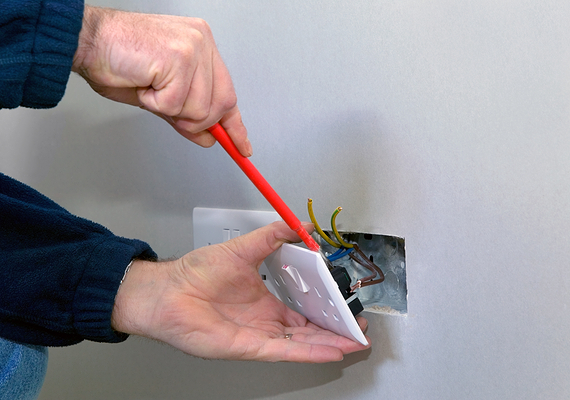 If you need additional electrical switches and outlets for your home or business, you can count on our team to install them quickly and professionally. Call us today at 309-829-4230 for more information or to schedule your appointment.